1000 credit card numbers cost $6, 1000 Instagram "likes" cost $30 !? Topic: 1000 credit card numbers cost $6, 1000 Instagram "likes" cost $30 !? These fake "likes" are sold in batches of 1000 on internet hacker forums, where cyber criminals also flog credit card numbers and other information stolen from PCs. 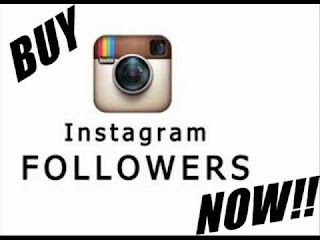 According to RSA, 1000 Instagram "followers" can be bought for US$15 and 1000 Instagram "likes" go for US$30, whereas 1000 credit card numbers cost as little as US$6. Facebook, which has nearly 1.2 billion users, said it is in the process of beefing up security on Instagram, which it bought last year for US$1 billion. Instagram, which has about 130 million active users, will have the same security measures that Facebook uses, said spokesman Michael Kirkland. "We work hard to limit spam on our service and prohibit the creation of accounts through unauthorsed or automated means," Kirkland said. Still, experts say schemes to manipulate social networks are unlikely to go away. Creating fake social media accounts can also be used for more nefarious purposes than creating fake "likes", such as identity theft. Re: 1000 credit card numbers cost $6, 1000 Instagram "likes" cost $30 !? Devvie's legal tip: first buy creditcards, pay false likes with those cards! Instagram is a social networking app which allows its users to share pictures and videos with their friends. The app can be downloaded for free from the usual app stores.